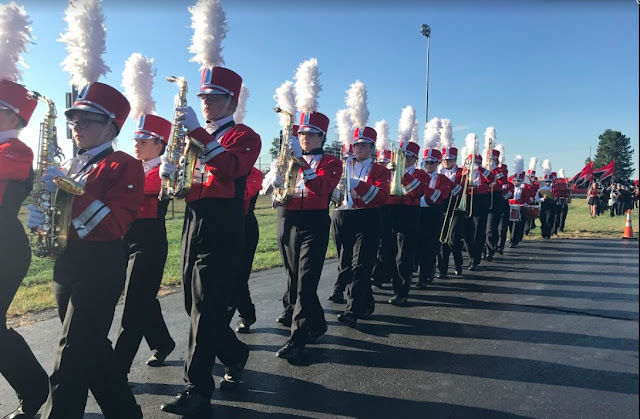 FMB Parents: I Need Your HELP! So I have concocted some major scenery and props for our final contest this Saturday at Thomas Worthington HS. 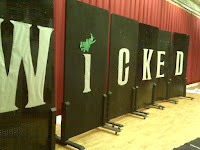 The large black screens that spell out "Wicked" look fantastic, however, they will require two adults per screen to move them from the trailer to the field and back (2 adults per screen). This is quite a bit larger than our usual pit crew so I need any and all parents who are available to help out if possible. You will be admitted to the contest free of charge since you are on the "pit crew." So got that going for you....which is nice. Also needed is an additional vehicle that can help carry the props to the contest. A pickup truck will do (any size really...the screens are 4'X8'). Please email me ASAP if you can help out here as well.